If you’ve ever enrolled in a lit class, whether at the 6th grade or the undergraduate level, chances are you’ve been schooled in the virtues of imagery. And what virtues it has — it's the driving force behind literary wonders such as Wordsworth’s belt of cheery daffodils and Steinbeck’s verdant Salinas Valley, among others. Imagery is what gilds the leaves with dew, and blankets the fields with dawn mist. Lovely, right? Right. With the turn of the season just around the corner (insane! 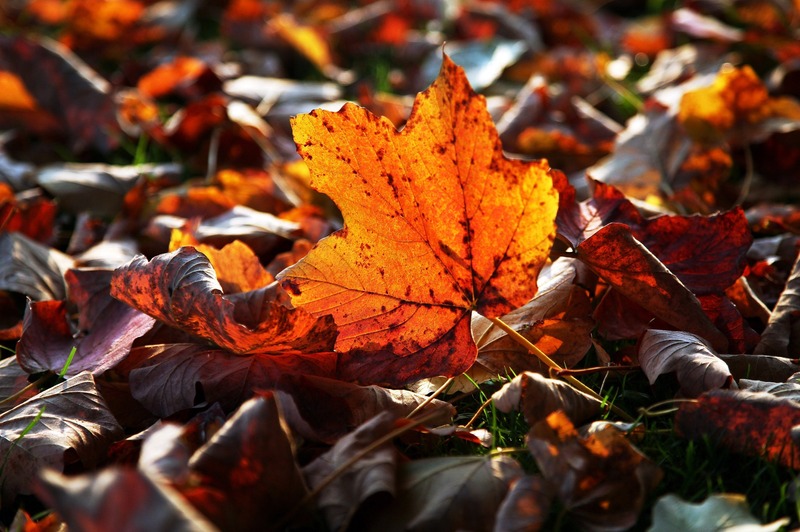 ), I culled some of the most beautiful images of autumn to usher us in. If we're going to say goodbye to summer, might as well bring in fall in the prettiest way possible, no? And there are so many shimmering descriptions by writers; I mean, what better subject about which to wax poetic through imagery than autumn, she the jewel-toned season responsible for sending writers everywhere scurrying to their color wheels and thesauruses for le mot juste? You're reaching for your sweaters already, I just know it. “In the entire circle of the year there are no days so delightful as those of a fine October, when the trees are bare to the mild heavens, and the red leaves bestrew the road, and you can feel the breath of winter, morning and evening — no days so calm, so tenderly solemn, and with such a reverent meekness in the air." “Is not this a true autumn day? Just the still melancholy that I love — that makes life and nature harmonise. The birds are consulting about their migrations, the trees are putting on the hectic or the pallid hues of decay, and begin to strew the ground, that one's very footsteps may not disturb the repose of earth and air, while they give us a scent that is a perfect anodyne to the restless spirit. Delicious autumn! My very soul is wedded to it, and if I were a bird I would fly about the earth seeking the successive autumns."